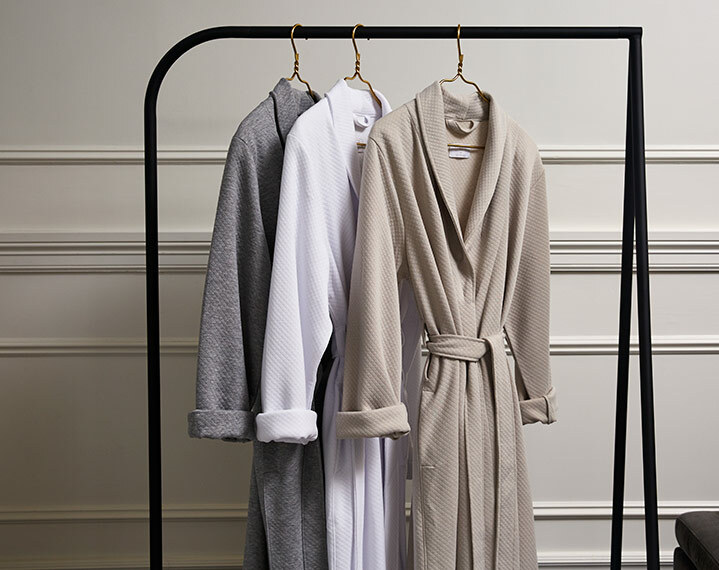 Let the soft, coveted feel of the Frette Diamond Jersey Robe envelop you in comfort morning or night. 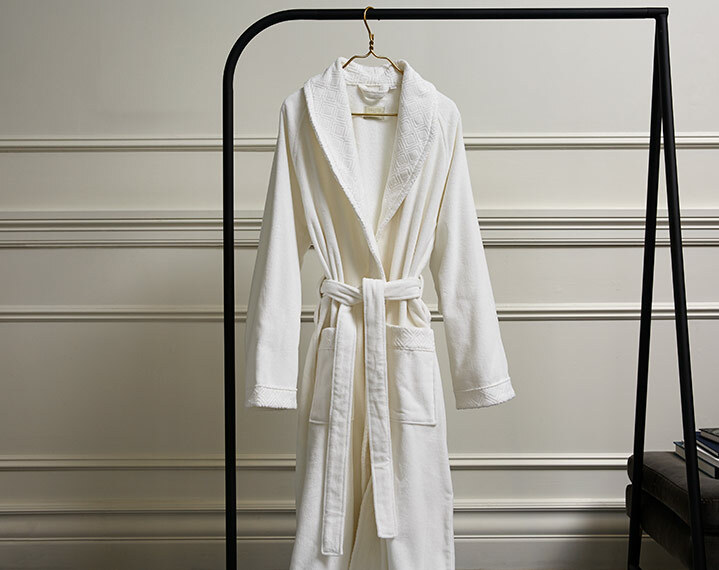 Made with a silk-like blend, our distinct St. Regis robe features a quilted diamond pattern and shawl collar. Choose from grey, oatmeal or white hues with double belt loops and two deep side pockets. Sharing the St. Regis brand's passion for modern design and effortless elegance, celebrated fashion designer Jason Wu is the second ever St. Regis Connoisseur. With Jason Wu, one of the world's most celebrated fashion designers, as the second St. Regis Connoisseur, the brand invites its discerning guests into a new generation of beyond expectation fashion experiences across the world. 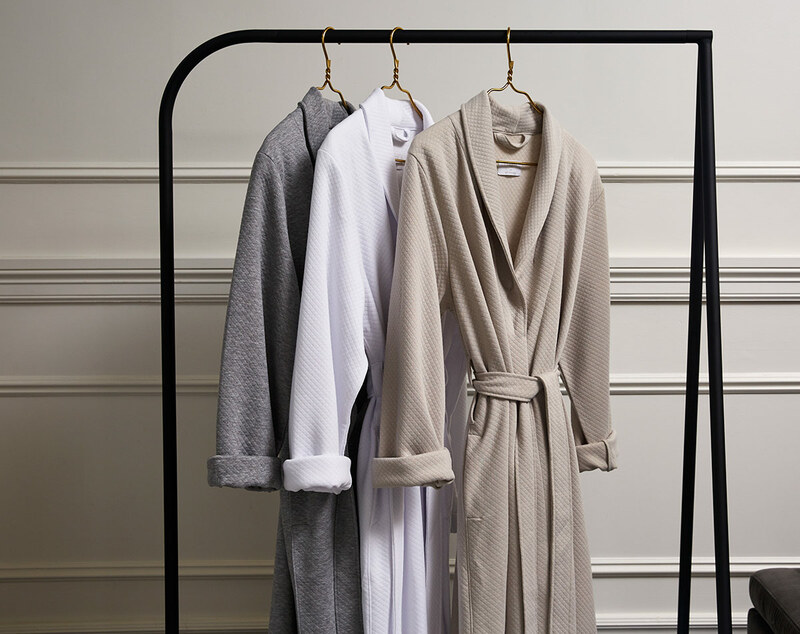 A shared passion for modern luxury and effortless elegance make Wu the perfect ambassador of taste and style. 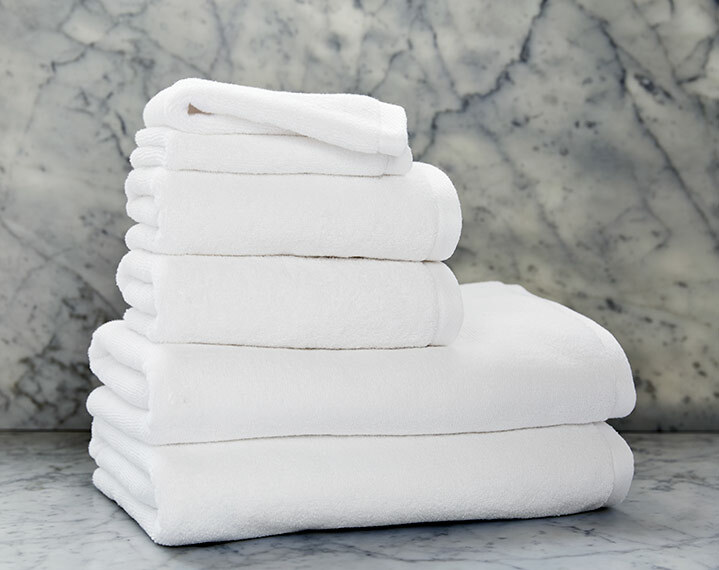 Akin to St. Regis founding patron John Jacob Astor IV, who required unrivaled standards of excellence in his New York flagship over one hundred years ago, Wu's selection of the finest materials inspired by his travel experiences have brought Astor's vision into the future. Following in the footsteps of early nineteenth century elite who traveled to the great cities of the world on frequent grand tours, today's need for cultural explorations in faraway destinations has come to life in the modern age with Wu's own personal journey. His recent grand tour to cherished destinations across the globe inspired the creation of The Grand Tourista Bag exclusively for the St. Regis brand. This functional, yet stylish, tote reintroduces glamour and romance to travel and offers an elegant accessory for the new generation of global travelers. "Inspired by my journeys around the world, I've designed The Grand Tourista Bag exclusively for St. Regis Hotels & Resorts and a new generation of global, stylish travelers like you. 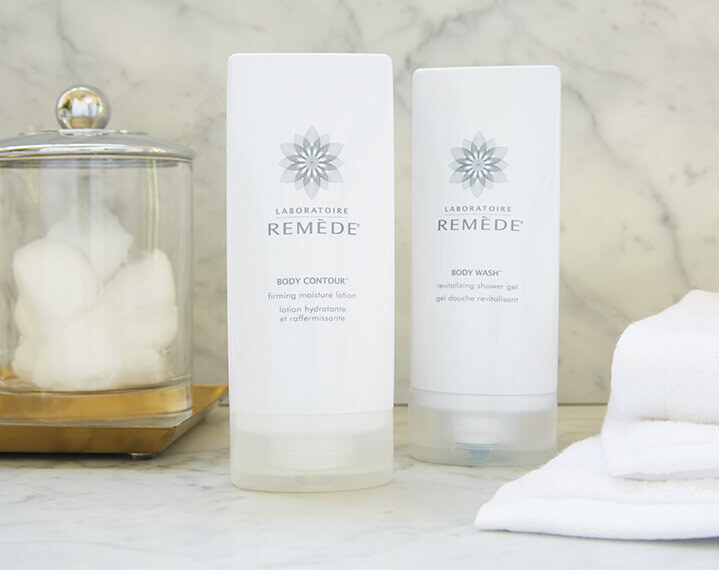 This chic and timeless accessory is the perfect travel companion to accompany you and your carry-on travel pieces from one St. Regis hotel to the next. Bon Voyage and happy travels!" St. Regis proudly introduces Chinese Connoisseur, renowned jewelry designer and socialite, Bao Bao Wan. Born in Beijing, Bao Bao Wan is renowned for her opulent pieces which reflect today’s modern Chinese woman. A global tastemaker and artist, Bao Bao Wan is partnering with St. Regis to create two, exclusive jewelry designs inspired by the brand and the St. Regis traveler around the world. The first design, an exquisite pin, debuted in 2016 to celebrate the dedication and service excellence inherent in St. Regis Butlers throughout greater China. The second design is set to launch in early January 2018, with an exclusive event at The St. Regis Shanghai Jingan, the brand’s newest offering in China which opened in the summer of 2017.